In 2018, many people left us forever, including not only famous scholars, researchers and artists, but also ordinary people working on the front lines. Let us remember them, share their stories and commemorate the time we shared with them. Rao Zongyi was one of China’s classical scholars of encyclopedic style in contemporary times. He mastered many languages and also made remarkable research achievements in a wide range of fields including Dunhuang studies, oracle bones studies, historiography, music and Sanskrit. He was honored by the academic circles as a “world-renowned master of Sinology.” He also made great artistic achievements in painting, calligraphy and poetry. He died at the age of 101. 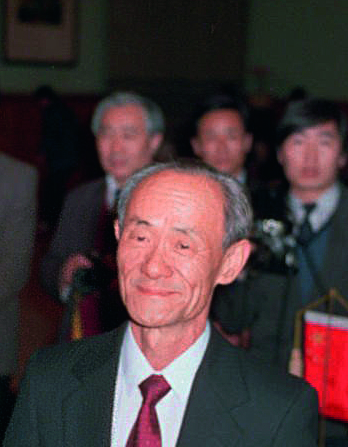 As an outstanding leader of the China Zhigong Party, Luo Haocai made important contributions to upholding and improving the multi-party cooperation and political consultation system led by the Communist Party of China. A well-known figure among returned overseas Chinese, he led and promoted the development of overseas Chinese affairs since the founding of the People’s Republic of China in 1949. 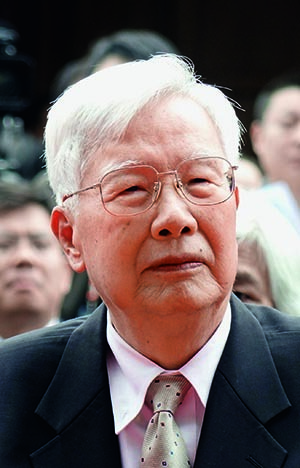 Moreover, as a renowned jurist and educator in China, he actively explored improving the administrative trial system with Chinese characteristics and trained many outstanding legal professionals. He passed away at the age of 84. Zhong Yiming was an outstanding leader of China’s offshore oil industry. In the 1950s and 1960s, Zhong and other first-generation Chinese offshore oil workers successfully drilled China’s first oil well for commercial use in the South China Sea, laying a foundation for further oil exploration and development of the region. After China adopted the reform and opening-up policy in 1978, Zhong, the second general manager of China National Offshore Oil Corporation, fully embraced the concept of reform and opening up, leveraging it to promote great development of the country’s offshore oil industry. 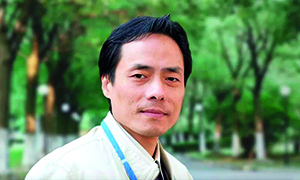 As a research fellow at the Shanghai Institute of Materia Medica under the Chinese Academy of Sciences, Wang Yiping led a team to successfully develop salvianolate, a modern Chinese medicine, which is used to treat coronary heart disease and other ailments, and became a model for the modernization of traditional Chinese medicine. He also built a complete cardiovascular drug research and development platform to systematically promote the research of a variety of new cardiovascular drugs. 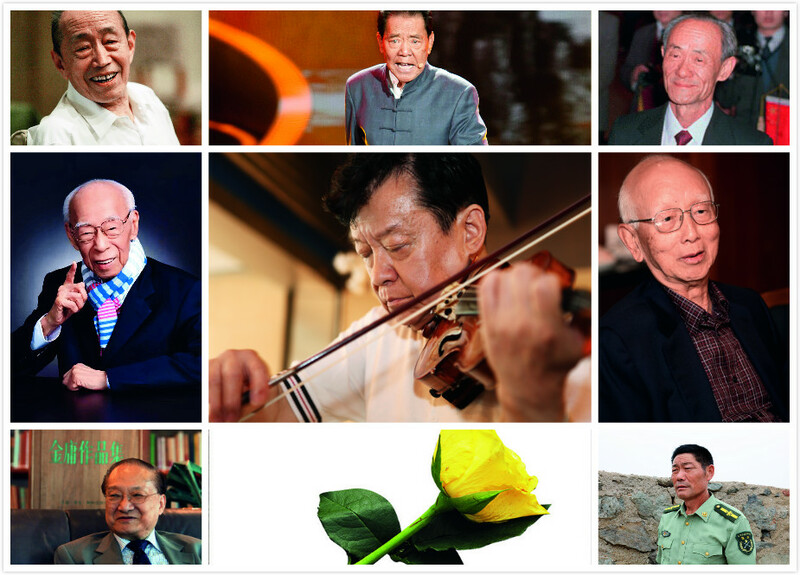 Wang, who died at the age of 55, was posthumously honored as a “national role model of the times” in November 2018. Wang Jicai was the former head of the militia post on Kaishan Island in eastern China’s Jiangsu Province. An offshore outpost in the Yellow Sea, Kaishan Island is strategically important but known for harsh conditions due to a lack of drinking water and electricity. 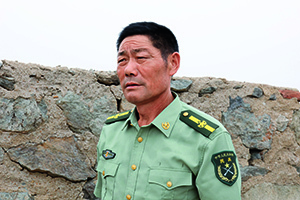 Since 1986, Wang Jicai and his wife, Wang Shihua, had overcome various difficulties and spent 32 years guarding the island post. In 2014, they were both honored as the “national role models of the times.” On July 27, 2018, Wang died of a sudden illness on duty at the age of 58. 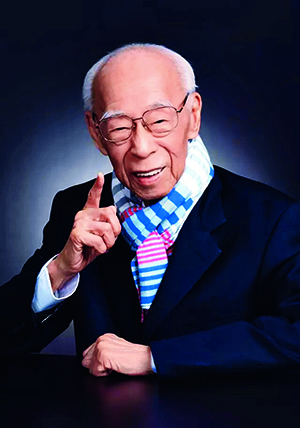 As a state-class violin soloist of the China National Symphony Orchestra, Sheng Zhongguo performed various musical masterpieces such as “Butterfly Lovers” with his fascinating skills, exerting a deep influence on Chinese music circles for more than half a century. 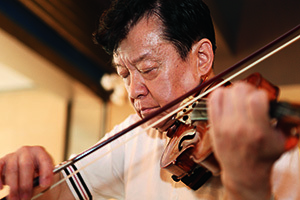 Sheng was among the first Chinese violinists to win honors on international stages. He was invited to perform solo concerts in many countries around the world. Sheng was listed as one of the “world’s greatest artists” by Australian Broadcasting Corporation in 1980. He died of heart disease at the age of 77. As one of China’s top pingshu (storytelling) masters and inheritors of national intangible cultural heritage, Shan Tianfang devoted his entire life to the creation and spread of the traditional Chinese art form pingshu. He has recorded more than 100 pingshu works including over 15,000 episodes covering a wide range of themes over the past 50 years. Today, pingshu performed by Shan Tianfang has become an icon of traditional Chinese culture and has cast great influence on the Chinese community around the world. Shan died at the age of 84. 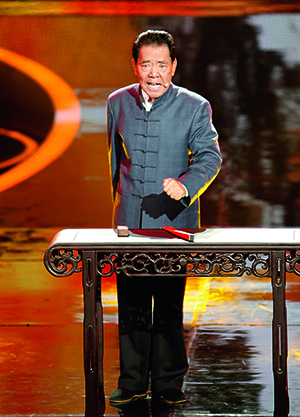 Zhu Xu, a renowned Chinese theatrical artist, had been dedicated to the performing arts for more than 60 years. 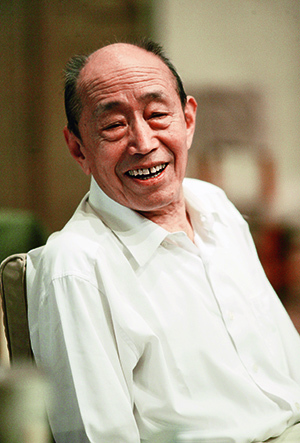 He not only brought to life many unique and impressive characters on stage, but also left a lasting impression on the Chinese public with his film and television roles. His unique performance style often involved comic interpretation of tragic characters which resulted in an even more powerful dramatic effect when it followed laughter. Zhu won many awards in China and beyond such as the Best Actor Award at the Tokyo International Film Festival, the Special Jury Prize of the 28th Golden Rooster Awards and the Golden Lion Award for Chinese Drama. He died at the age of 88. A famous Chinese martial arts novelist and prominent media figure, Jin Yong, born Louis Cha Leung-yung, created 15 extremely popular martial arts novels including Legends of the Condor Heroes and The Return of the Condor Heroes. His works inherited the tradition of Chinese classics while integrating history and culture and remain very popular among Chinese in various parts of the world. 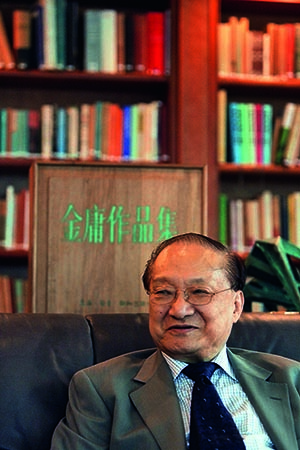 A saying goes that “where there are Chinese, there are readers of Jin Yong.” He died in Hong Kong at the age of 94. Raymond Chow Man-wai was a famous Hong Kong film entrepreneur and founder of the movie studio Golden Harvest. 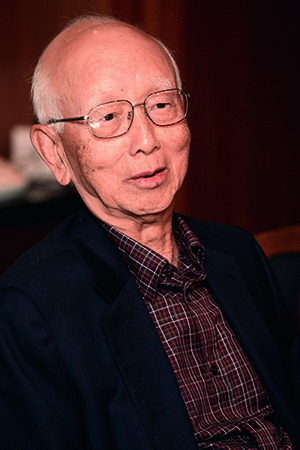 As a pioneering independent producer in Hong Kong, he not only discovered many Chinese movie stars such as Bruce Lee and Jackie Chan, but also diversified film categories such as action and comedy. He started an unprecedentedly prosperous era of Hong Kong movies, which won him respect and status in the international film industry. In 1979, the U.S. Film Association voted him the most outstanding international filmmaker. He died at the age of 91.